A surprise cover from India, sent by Avijit Kundu of New Delhi. 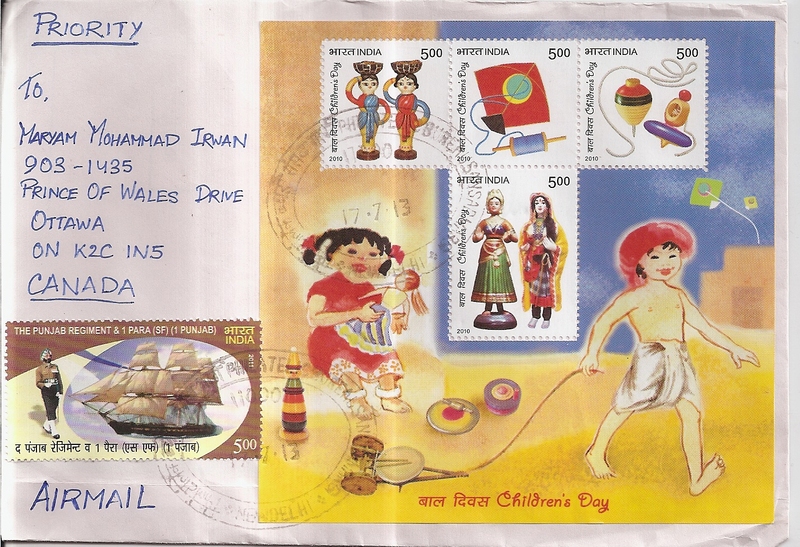 On the cover, Avijit affixed one commemorative stamp about the Punjab Regiment and one large souvenir sheet that contains three stamps that commemorate Children’s Day. 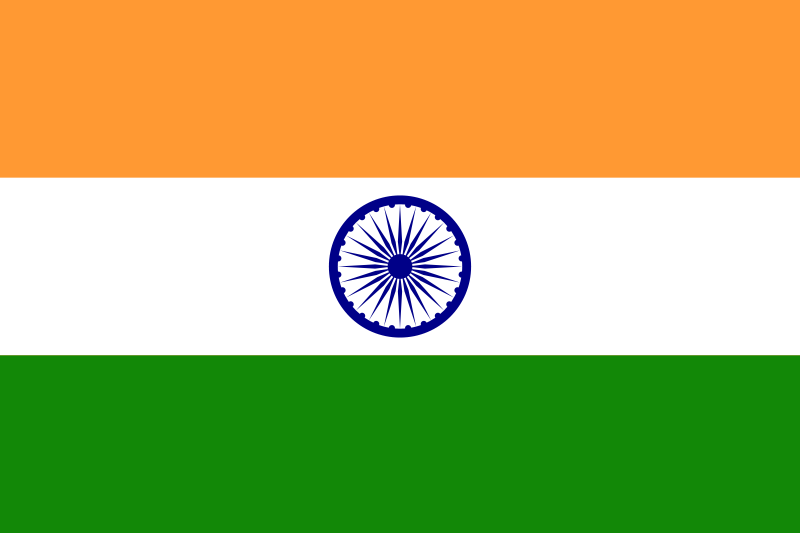 The postmark date is 17 July 2013 and the location is New Delhi. Thank you very much Avijit!